Direct Cladding Of Preston - Fascia/Soffits/Guttering, Roofer, Windows/Doors/Conservatories based in Ashton-on-Ribble, Lancashire. Direct Cladding of Preston UPVC Installers are a family run business based in Preston. We cover all aspects of Roofing and UPVC Fascia, soffit and Guttering. Our aim is quality workmanship at affordable prices and are also approved installers of most of the UPVC profiles. We are also the leading supplier and fitter of fascias and soffits and can help you choose the correct style to suit your property. We specialise in UPVC and all aspects of Roofing. On all jobs no deposit is required and payment required only when the job is finished and the customer is 100% satisfied. Direct cladding of Preston provides very experienced tradesman, helpful, friendly and a reliable service with over 20 years combined experience. 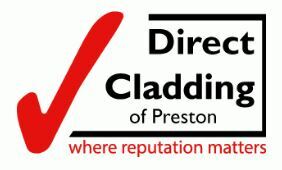 To arrange for a free, no-obligation quote then please contact Direct Cladding today by calling our Preston office on 01772 508404 or mobile on 07776 056086. For further information on the business please visit our website by clicking here. Preston, Lancaster, Leyland, Lancashire, Chorley, Bamber Bridge, Blackburn, Blackpool, Bolton, Wigan, Morecambe , Kendal, Carnforth, Garstang, Clitheroe.